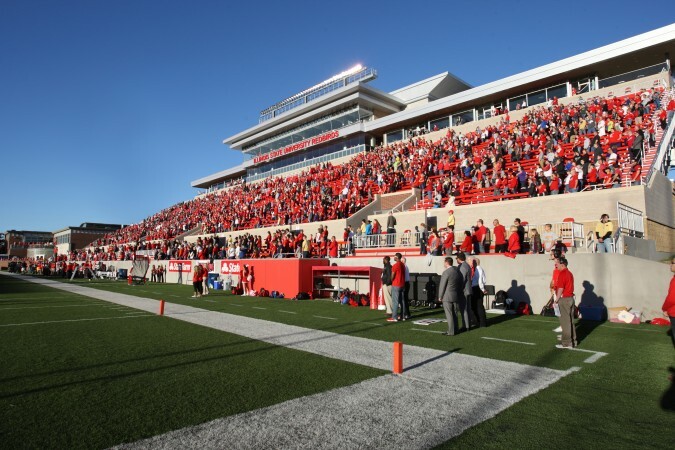 Hancock Stadium is located on the campus of Illinois State University, at the corner of College Avenue and Main Street, about three miles south of Interstate 55. It features a collegiate-size, fully lighted, artificial turf playing field; three concession stands, a box office, security, ushering service and two scoreboards. Additional spaces include a complete media press box. Facility can be used for football, soccer, lacrosse and band competition.